ROCK 2: Take your climbing higher with this Multi-Pitch Climbing course. Ready to take your rock climbing higher, way higher? 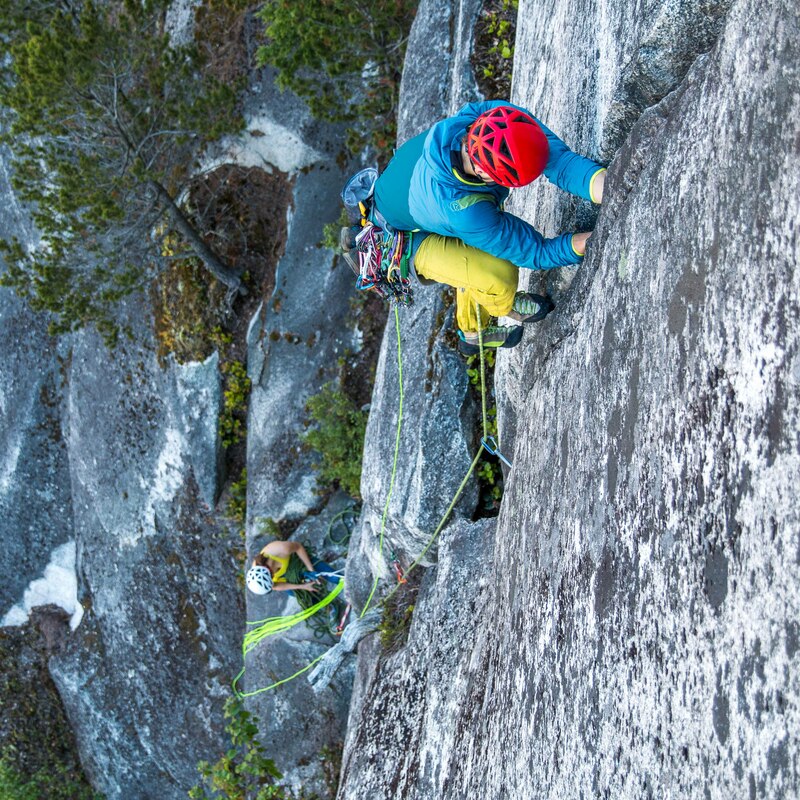 Whether you’re an expert climber or just new to outdoor rock climbing, there are lifetimes of multi-pitch routes around Squamish that require proficient multi-pitch climbing skills to tackle quickly and safely. This 2-day course will focus on providing you with the skills to successfully and efficiently complete multi-pitch climbs at almost any rock climbing destination. Skill development will focus on: route selection, belaying methods in the multi-pitch setting, protecting both the leader and the second while climbing, anchor construction and considerations for multi pitch climbing, route finding on route, rappel descents and emergency preparedness. Stay for an optional Bonus Day and put your new skills to use on a classic Squamish multi-pitch climb!